GREENVILLE – An arrest warrant has been issued for a Greenville man wanted for felonious assault as a result of a shooting. 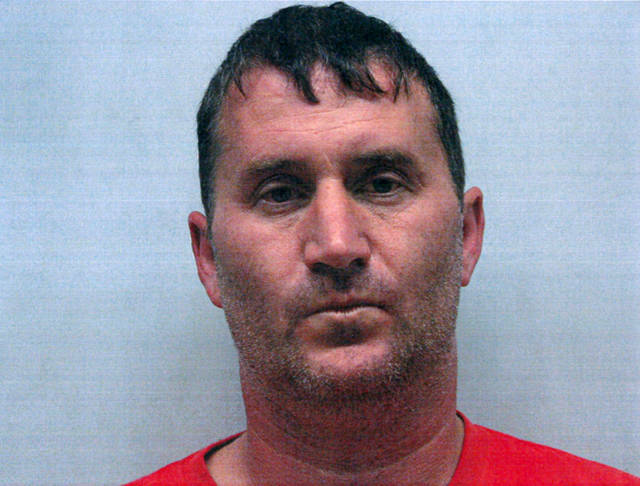 The Greenville Police Department obtained an arrest warrant through the Darke County Common Pleas Court for 50-year-old David A. Green of Greenville. He is considered to be armed and dangerous. According to Greenville police, Green fired one round from a shotgun inside a residence in the 400 block of Central Avenue shortly after 7 p.m. Thursday. The bullet reportedly struck a 25-year-old man from Richmond, Indiana, who was flown to Miami Valley Hospital by CareFlight for his injuries. Green then fled the scene, according to police. Anyone with information regarding Green’s location is asked to contact law enforcement immediately. Anyone with information regarding any crime is asked to contact the Greenville Police Department at 937-548-1103 or the Darke County Crime Stoppers tip line at 937-547-1661. All callers may remain anonymous. This entry was tagged Arrest warrant, Common Pleas Court, court, Darke County Common Pleas Court, Greenville, Greenville Police Department, Shooting, Warrant. Bookmark the permalink.